Elizabeth D. Rose passed away on Wednesday, November 28, 2018 at the age of 66. She was born on May 26, 1952 to Joycelyn and Maurice Dunn at North Island, California. She is preceded in death by her parents, her husband, Walter Lee Rose, and two brothers, Billy Lee Dunn and Buddy Joe Dunn. 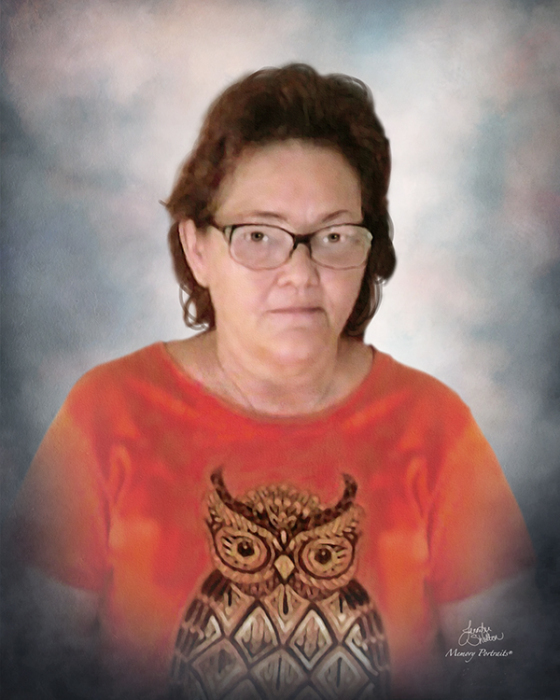 Elizabeth is survived by her loving son, James Michael Rose of Alice, Texas; two granddaughters, Elizabeth Marie Rose of Alice, Texas and Lindsey Nicole Rose of Conroe, Texas; two sisters, Denyce (Bill) Gorbet of Sandia, Texas and Sherri L. Dunn of Orange Grove, Texas; two brothers, Jack (Cathy) Dunn of Orange Grove, Texas and James (Missy) Dunn of Beeville, Texas; numerous nieces, nephews, cousins; her companion, Miguel Garcia of Alice, Texas, and a host of friends. Visitation will be held from 5:00 p.m. to 7:00 p.m. with Chapel Service to be held at 7:00 p.m. on Saturday, December 1, 2018 at Holmgreen Mortuary with Pastor Roland Contreras officiating.